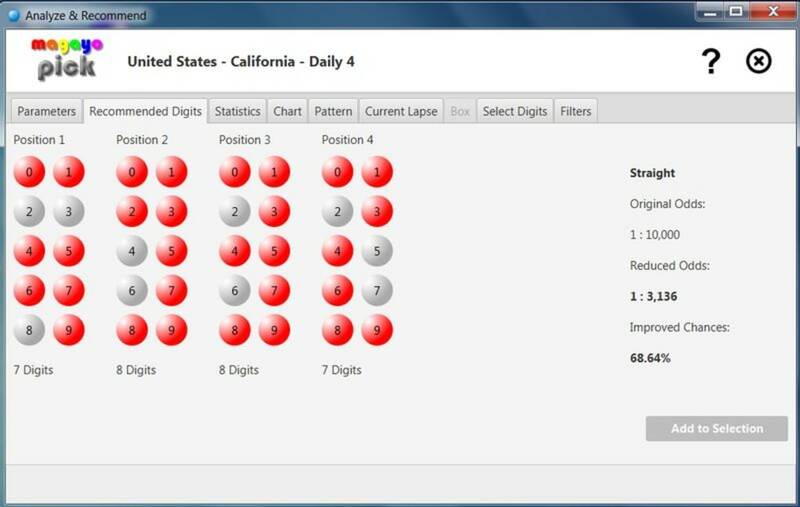 magayo Pick is a powerful and yet easy-to-use lottery software for Pick 3, Pick 4, Daily 3, Daily 4, Cash 3, Cash 4, 3D, 4D, 5D and 6D lottery games around the world. It can recommend you the digits to play and the filters to use. 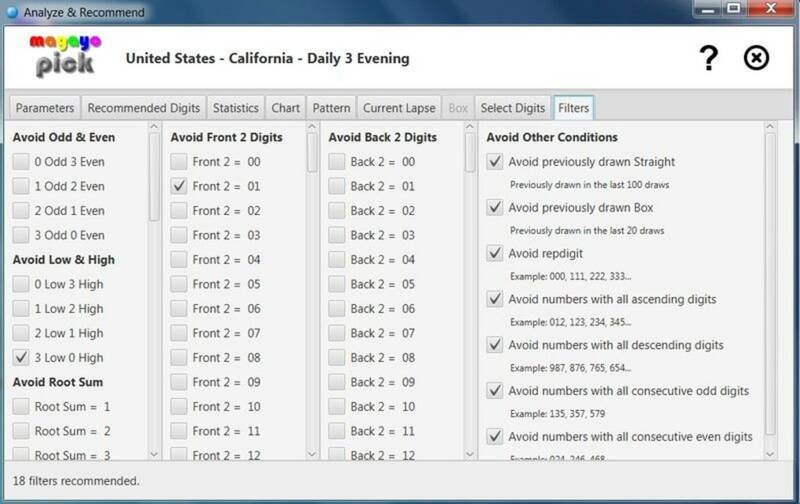 It also offers various statistics for you to analyze every lottery number, every digit in each position, every permutation of the lottery numbers and the sum of all digits thereby allowing you to intelligently pick the digits and numbers to play. 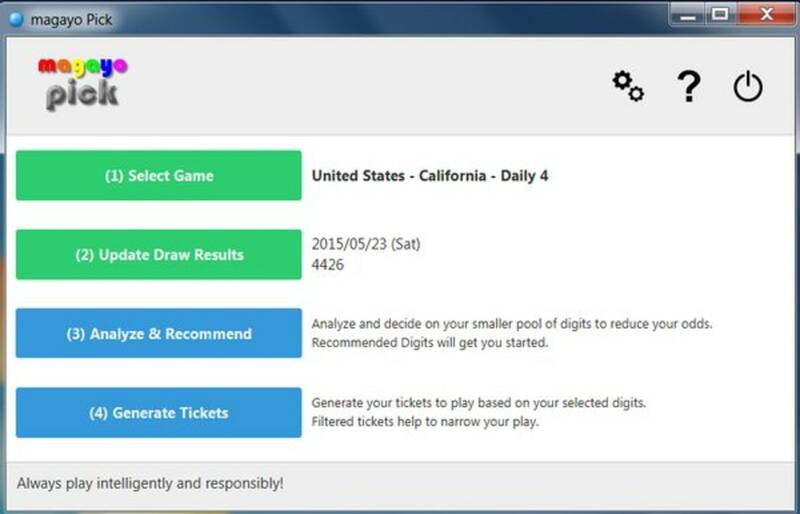 The lottery results for the supported lottery games can also be automatically downloaded and updated with a single click. 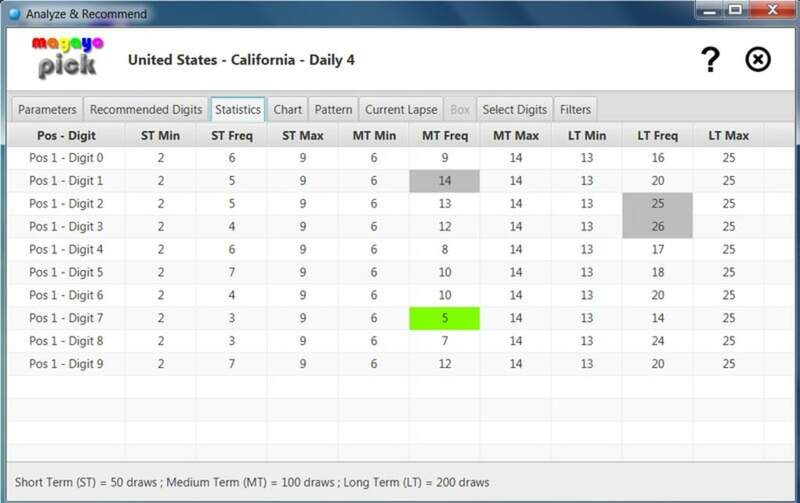 The supported games include lottery games in Canada, Malaysia, Philippines, Singapore and United States. magayo Pick is ideal for both casual and serious lottery players anywhere in the world! magayo Pick is extremely easy to use. You just need to select your country and the lottery game to start playing. Draw results for the supported lottery games can also be automatically updated with a single click. There is no time expiry for using magayo Pick. What do you think about magayo Pick? Do you recommend it? Why?